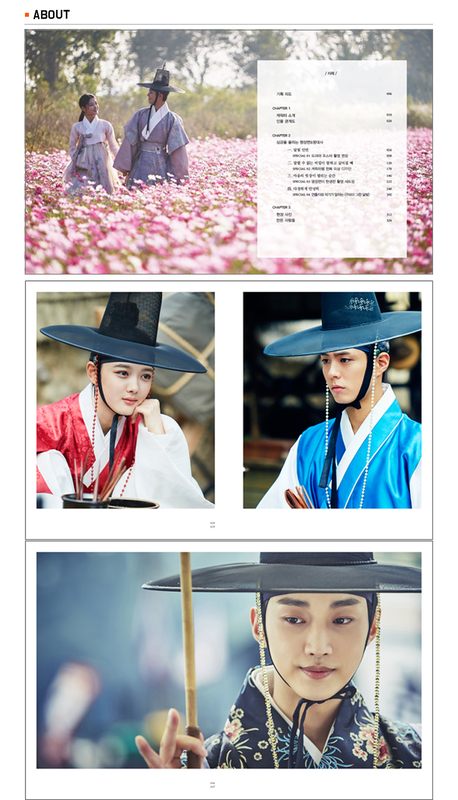 *Hurray*~ for those who has missed out on that bloody thick photo book released by KBS for Moonlight Drawn by Clouds, you still have a chance to grab a copy. Reading Times Taiwan [時報文化] has the copyright for printing, and will be releasing the Taiwanese version on December 30. They have planned for a pre-order on December 14 on various online shops. The photo essay will be exactly the same as the Korean version, except the Korean writings will be printed in Chinese, and nothing else will change. 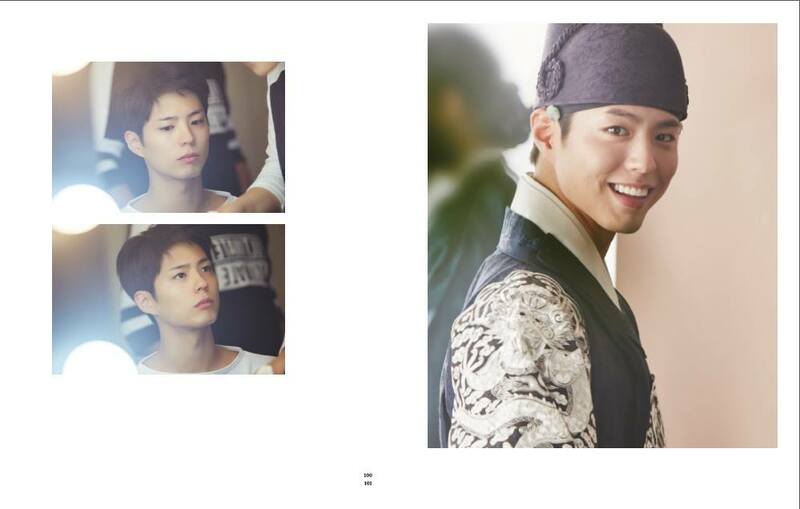 The Korean version comes with posters and all other goodies, and so will the Taiwanese version. There will also be an additional gifts if we pre-order it. Instead of one like the Korean version, Taiwanese version will give out two. 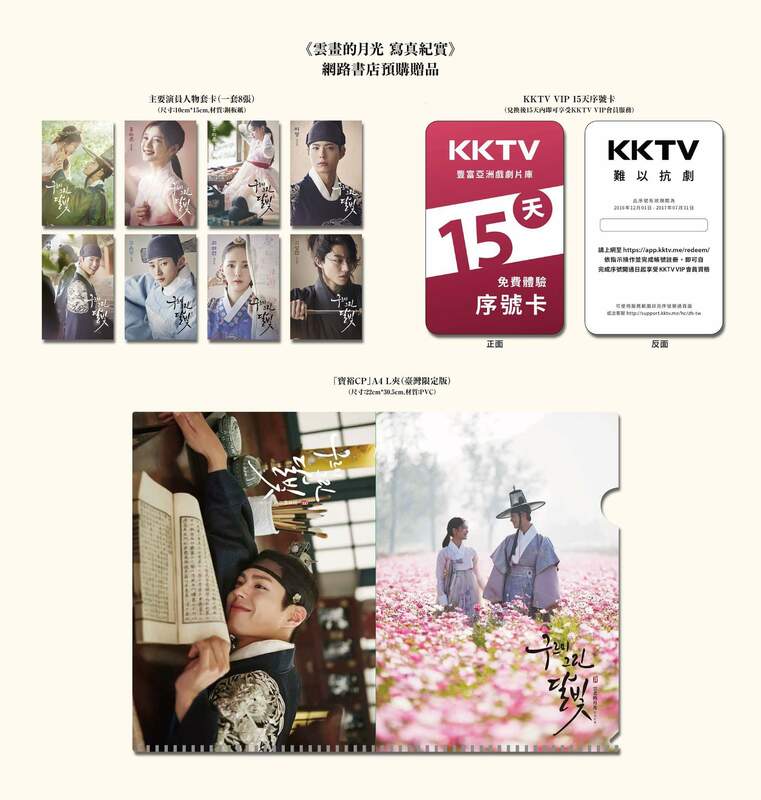 The two extra gifts are KKTV 15 days VIP trial and an A4 L Clip of Lee Yeong and Ra On. 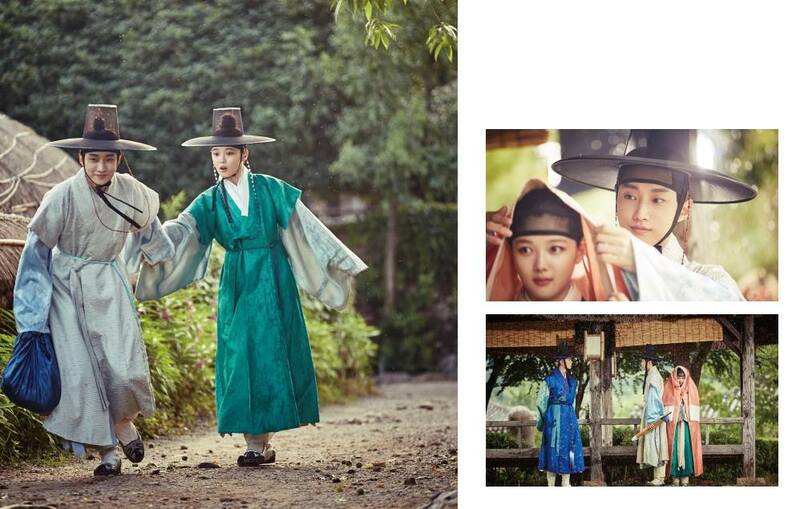 For your information, I have read that the quality of the photos vary in this photo essay for the Korean version. The owner said some are unclear like a 240p, whilst others are as clear as 1080p high definition. She doesn’t think it was worth the money to collect this photo book. In conclusion, it is your decision on what’s worth it and what’s not. For me, I will be happy if one day some kind-hearted soul decide to share it, or I happen to chance upon a bookshop which might have a copy I could peek into.